As we begin 2016 I thought it might be nice to take a look back at how great 2015 was! I had a bunch of amazing couples and weddings at some of the best wedding venues in Toronto and Ontario including Fermenting Cellar, Hessenland Country Inn, Bruce Hotel, One King West, Liberty Grand, Waterloo Region Museum, One King West (again!) The Tannery, Copper Creek Golf Course, The Stirling Room, 99 Sudbury, Ancaster Mill, Federation Hall and WhistleBear Golf Course as well as weddings across ontario including Tobermory and Windsor. I love this portrait from Josh + Paul's wedding at the Bruce Hotel in Stratford, Ontario. The best light is always around sunset (or sunrise... but that's not happening!) so I always try to sneak my couples out for a quick portrait session to take advantage. To me this image feels really natural, not forced at all... which is exactly how I like to work. I put the people in the nice light and then let things happen! 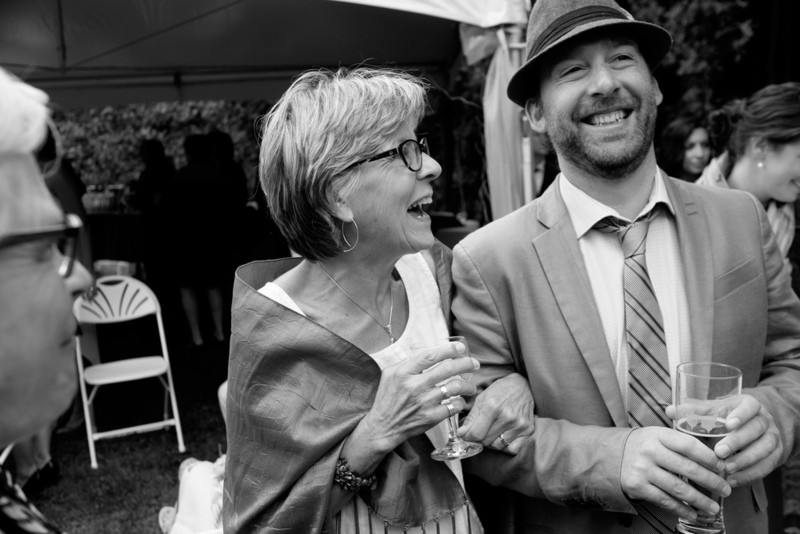 I really like this photograph from Spencer + Jonas' wedding at the Stirling Room in Toronto's Distillery District. 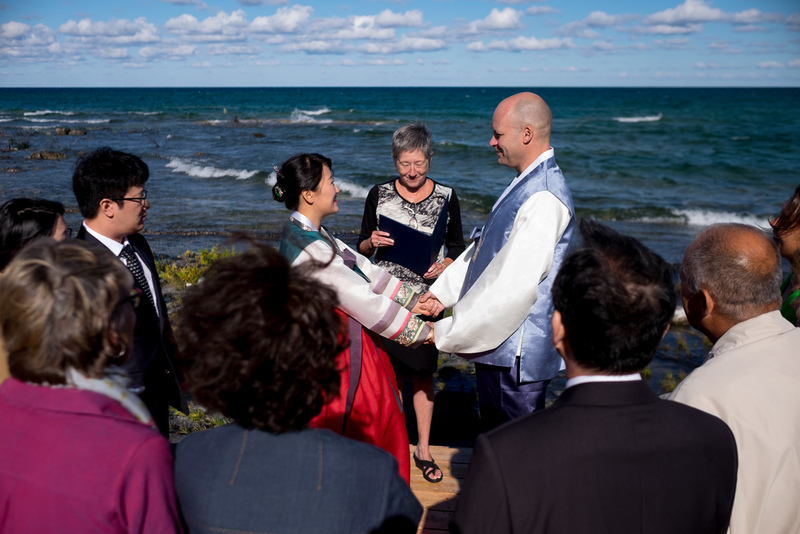 During the wedding ceremony, they had something called a 'ring warming' where the two wedding rings were passed around to all the guests before they said their vows. Having shot over 300 weddings, it was nice to see something new and unique! For me, a great moment will always trump a great portrait but there is something about this photograph of the wedding party from Emilie + John's wedding at 99 Sudbury in Toronto that I really like. I think it has that timelessness and elegance to it, something I'm always striving to achieve! I'm always looking for a different angle when I photograph a wedding. It's a hazard of the job that you're essentially photographing the same events week after week so you have to keep looking for new ways to see things! 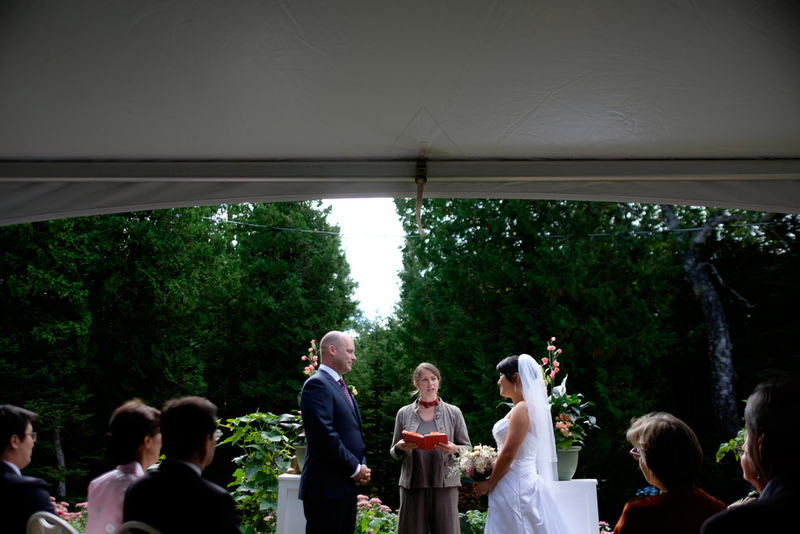 This picture is from Rebecca + John's wedding up at the Hessenland County Inn in Ontario on the shores of Lake Huron. I like everything about this picture... the look on Rebecca's father's face as he dances with his daughter... the guests looking on in the background... the contrast of tones between the subjects in the foreground and the warmth in the background. This wedding photograph is from Jennifer and Alex's wedding in Toronto. The speeches during the reception were really great, and really emotional. Somewhat surprisingly, this image was captured as the best man was giving his speech and talking about how Alex and him had a bond closer than brothers. This really touched Jennifer and I managed to capture this just as she wiped away the tears. This image is from Andrea + Chris' wedding at One King West. I love the connection they have as Chris listens to Andrea's speech. This is a portrait from Joohee + Joel's wedding up in Tobermory. We had just finished the civil wedding ceremony, right on the water at Joel's mothers property, and paused for a few pictures. I love the colours in this picture, from the traditional Korean hanbok to the brilliant blue of the sky. 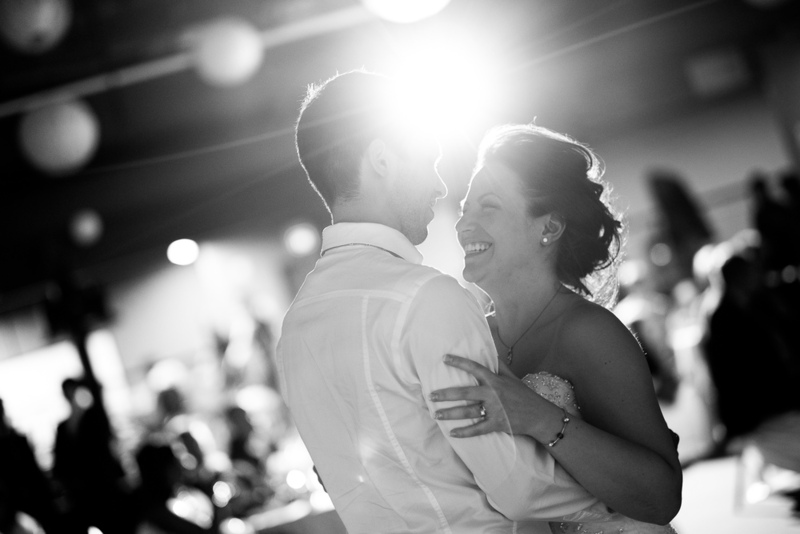 I love it when people are smiling in wedding photographs (I'll take happy crying as well) so obviously I love this picture from Kaylen and Roberts wedding this spring at Federation Hall in Waterloo. You can see the joy on Kaylen's face as she enjoys their first dance during the wedding reception. Photographers love the soft light of overcast days and golden hour sunsets. Unfortunately, wedding portraits sometimes need to be made during the middle of the afternoon under harsh sunlight. This was the case during Maria + Theo's wedding this fall in Toronto as we met for portraits near the Art Gallery of Ontario.